Every year the Canadian Media Concentration Research Project (CMCRP) puts out a series of reports on the state of Canada’s telecom, internet, and media industries. On this episode of Broadcast Dialogue - the Podcast, Dwayne Winseck, professor at Carleton University’s School of Journalism and Communication, who also leads the CMCRP, on the latest Growth of the Network Media Economy report, and among other things why he’s calling for the resignation of CRTC chair Ian Scott. On this episode of Broadcast Dialogue - The Podcast, an off the cuff roundtable on the resurgence of Community Radio with Bryan McKinnon, the executive director of Vancouver's highly successful community station Co-op Radio, and Canadian Broadcast Industry Hall of Fame inductee Don Shafer. Shafer is now a station volunteer, still nursing a few wounds from the failure of his Roundhouse Radio venture, but getting set to host a new show that will launch in May. On this episode of Broadcast Dialogue - The Podcast, Brad Danks, the CEO of Canadian specialty channel and OTT platform OUTtv. The LGBTQ network expanded its global footprint in 2018, finding success with its original content in New Zealand, Australia and South Africa, and was subsequently named Playback’s Channel of the Year. Danks talks about the challenges of being an independent Canadian operator in the current regulatory landscape and why he thinks the future of Canadian broadcasting lies in the production of original content. Radioplayer Canada celebrates its second anniversary this month of streaming Canadian radio stations to millions of listeners each week. 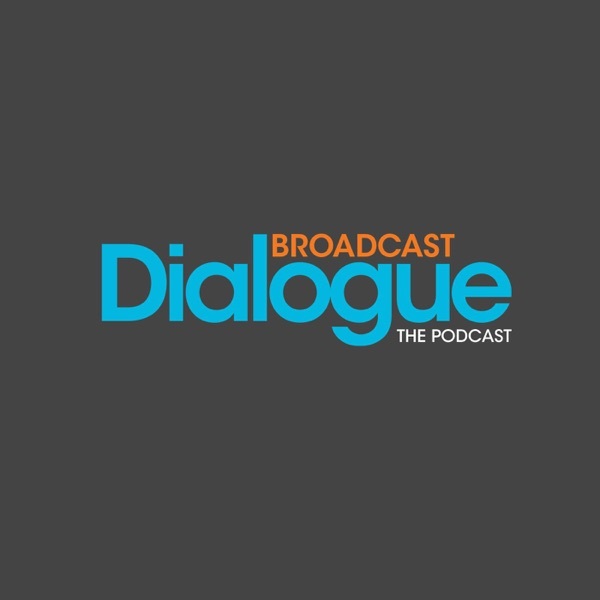 On this episode of Broadcast Dialogue - The Podcast, our publisher Shawn Smith in conversation with Michael Hill, managing director of Radioplayer Worldwide, on the rise of radio streaming, the future of the in-dash radio experience and the challenges of smart speaker adoption. Numeris has announced it’s making major changes to the way Canadian radio in small and medium markets like Kelowna, Saskatoon, Thunder Bay and Halifax, is measured. Starting this Summer, those 95 stations will join Canada’s major cities in being in ratings year-round. On this episode of Broadcast Dialogue - The Podcast, Ross Davies, Director of Member Engagement, Radio, for Numeris, on ongoing sample challenges and the way forward - continuous measurement. 101.5 Today Radio has made its debut in Calgary - a re-launch of Jim Pattison Broadcast Group’s Hot AC station 101.5 Kool FM. On this episode of Broadcast Dialogue - the Podcast, Jamie Wall, general manager of the Pattison stations in Edmonton and Calgary, on the broadcast group’s personality-driven, high engagement strategy. It was quite a week at the CRTC. The commission released its report on misleading and aggressive sales practices in the telecom industry which drew heavy criticism for its lack of clear, actionable timelines. One of those critics is Michael Geist, University of Ottawa Law Professor & the Canada Research Chair in Internet and E-commerce Law.On this episode of Broadcast Dialogue - The Podcast, Geist talks about why the telco sales practices issue is a "Penske file" for the regulator, and the commission's re-opening the ISP code of conduct proceedings, among other issues. On this episode of Broadcast Dialogue - The Podcast, Mike Cosentino, president of Content and Programming for Bell Media, on the philosophy behind the recently-launched CTV Super Hub, and staying competitive in an increasingly crowded media landscape. Stingray has taken its Toronto hip hop station Flow 93.5 (CFXJ-FM) back to its roots after three years as The Move. Canada’s first urban contemporary station, it continues to serve as a launch pad for emerging hip hop and urban talent. We spoke with program director Josie Fenech about Flow's staying power as a taste maker in the era of the multi-platform audio universe. If you’ve ever dreamed of writing a screenplay, Canadian entrepreneur Khaled Sabawi wants to help you get there. Better known for his work co-founding companies like MENA Geo Thermal and TABO Palestine, Sabawi is now taking on Hollywood with a new platform called Open Screenplay. It aims to democratize the screenwriting process and ultimately bring more diverse stories to mainstream audiences. With two incidents this week that saw hackers gain control of the Twitter accounts of Rogers Radio stations News 95.7 Halifax and News 1130 Vancouver, Momentum Media Marketing's in-house digital experts James Wallace and Christian Lind offer insight into how the hacks occurred and how media organizations can take steps to protect themselves. Esther Enkin has retired after six years as the CBC’s complaint watchdog and another 40 as a working journalist. Broadcast Dialogue had the chance to talk to her about the challenges facing Canadian journalism in the era of outrage and distrust. CBC has launched its newly-rebranded CBC Gem streaming service, featuring 4,000 hours of free content from Canadian film to international series. On this episode of Broadcast Dialogue - The Podcast, Gave Lindo, CBC’s executive director of OTT programming, on the strategy behind CBC Gem. The Canadian Academy of Recording Arts and Sciences (CARAS) has announced that broadcast veteran Duff Roman will be awarded the 2019 Walt Grealis Special Achievement Award for his ongoing contributions to the Canadian music industry. 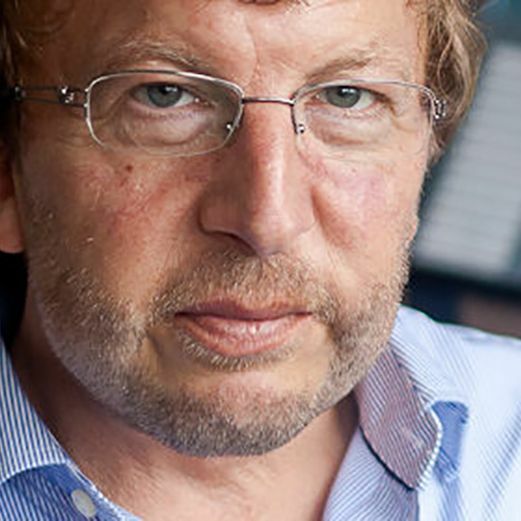 On this episode of Broadcast Dialogue - the Podcast, we cover everything from Roman's meteoric rise to the head of the CHUM Radio Network, to his discovery of singer/songwriter David Clayton-Thomas, and the story behind DAB radio's failure in North America. Amidst the disruption of changing consumer viewing and listening habits, audience measurement has been challenged to keep up. On this episode of Broadcast Dialogue - The Podcast, we talk with Eric Blais, Director of Client Success, at audience measurement startup StatsRadio. On this episode of Broadcast Dialogue - The Podcast, we talk with a group of Humber College students who conducted research this past summer, under the direction of radio veteran Alan Cross, on the listening habits of millennials and what the future of radio targeted to that age demographic might look like. Nicole Swanson, Jeff Pastor and Steph Byles had the opportunity to present "Millennial Radio" at the recent Ontario Association of Broadcasters conference, during the Future of Content panel. On this episode of Broadcast Dialogue the Podcast, we talk to Jeff Vidler of Audience Insights about the 2018 Canadian Podcast Listener Survey. Vidler covers everything from barriers to podcast growth and the rise of smart speakers in Canada, to which podcasts Canadians are listening to. First People’s Radio is set to launch its ELMNT FM English and Aboriginal-language radio stations in Ottawa and Toronto on Oct. 24.FPR — a non-profit corporation established by the Aboriginal Peoples Television Network — has an eye to fill the gap for members of Canada’s urban indigenous community that don’t hear themselves reflected in the current radio landscape. On this episode of Broadcast Dialogue - the Podcast, Jean La Rose, the CEO of APTN and chair of the board of directors of First People’s Radio. On Broadcast Dialogue - The Podcast, is the era of how we measure consumer habits using traditional age-based demographic stereotypes over?Publisher Shawn Smith speaks with Vancouver speaker, author and former brand strategist David Allison whose fourth book, We Are All The Same Age Now, is about Valuegraphics: the idea that people’s values now override age in defining the target audience for any product, service or brand. On this edition of the Broadcast Dialogue podcast, we speak with Canadian country superstar Terri Clark. 2018 is shaping up to be a great year for the Medicine Hat, Alberta native...in addition to releasing a hit duet with Dallas Smith, and touring both solo and as part of the Chicks with Hits Tour with Suzy Bogguss and Pam Tillis, Clark is about to be inducted into the Canadian Country Music Hall of Fame. Clark also continues to host the Country Gold with Terri Clark, heard on 145 stations in the U.S. and Canada.